The Pantone 2019 has just been announced: the new year opens with the Living Coral, a color that contains joy, optimism and love for nature. 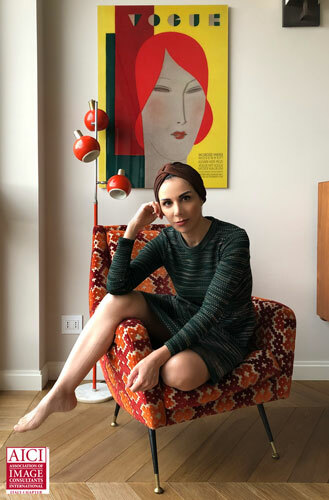 Leatrice Eiseman, executive director of the Pantone Color Institute, associates this color with a general need for human connection, in person but also digital. It is a warm and vibrant color, which certainly valorize those who have a golden undertone. Obviously, brunettes with amber-colored skin are literally enhanced by the coral. And not just in the summer: do pick up sweaters of this color! On the other hand, those who have cold and olive skin probably have noticed that they only tolerate it with just a little suntan … In this case, I suggest you turn back to a strawberry red: similar, but cold. Another category that can celebrate this Pantone 2019 is certainly the Spring one (in the chromatic theory of the seasons). Characteristics: amber to very light skin, warm undertone, high intensity. 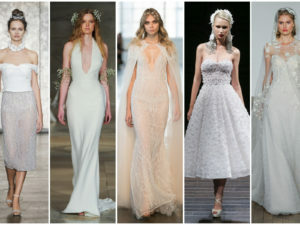 Those who have light colors do not necessarily have a cold undertone! Here are three examples of beautiful blondes with golden complexions: the Living Coral gives them an incomparable brightness, both in clothing and in beauty. A type of which we always talk too little, but which has magnificent colors, are red-heads (natural). Well, if you belong to this small and lucky group, you can consider the Pantone 2019 as your first Christmas gift! 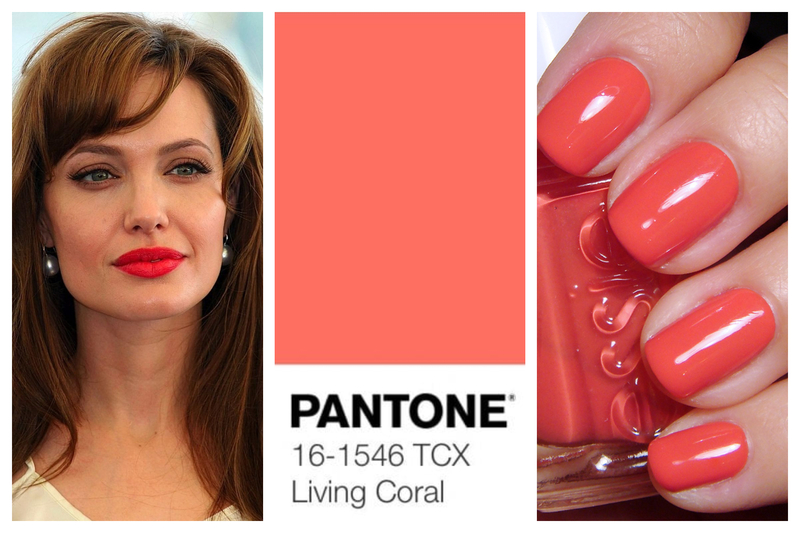 Pantone suggests it very crearly: Living Coral is inspired by nature, especially the marine one. Combine it with all the shades of turquoise and you will get a wonderful effect that only complementary colors can create. 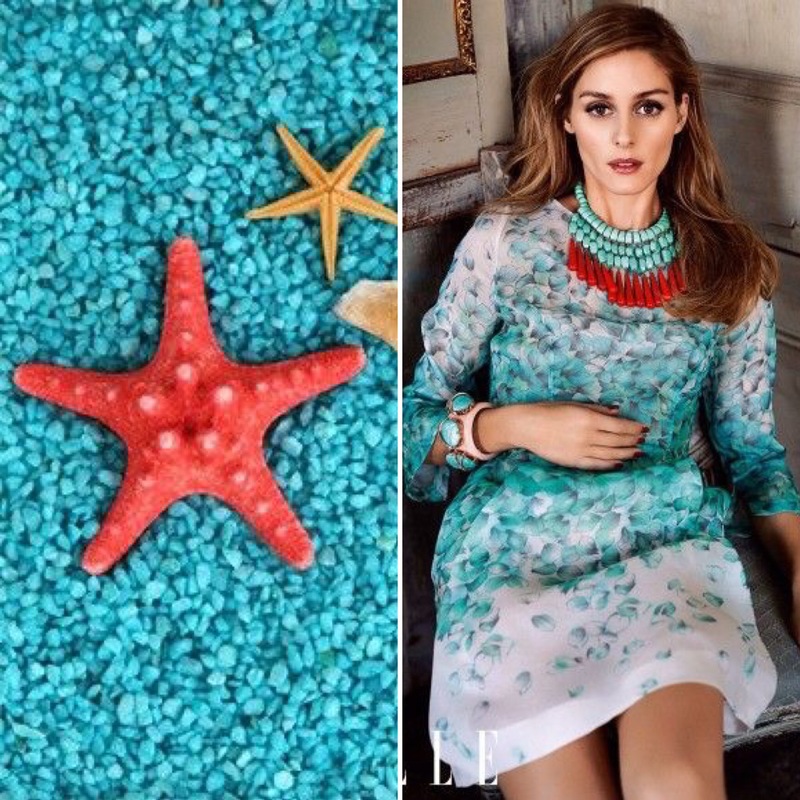 In summer it is wonderful to add a touch of coral to a Total White look. I would say that there is nothing to add. What do you say? For spring then, I find very interesting also coral trousers with the navy jacket: complete the outfit with a striped shirt or a newly knotted scarf. 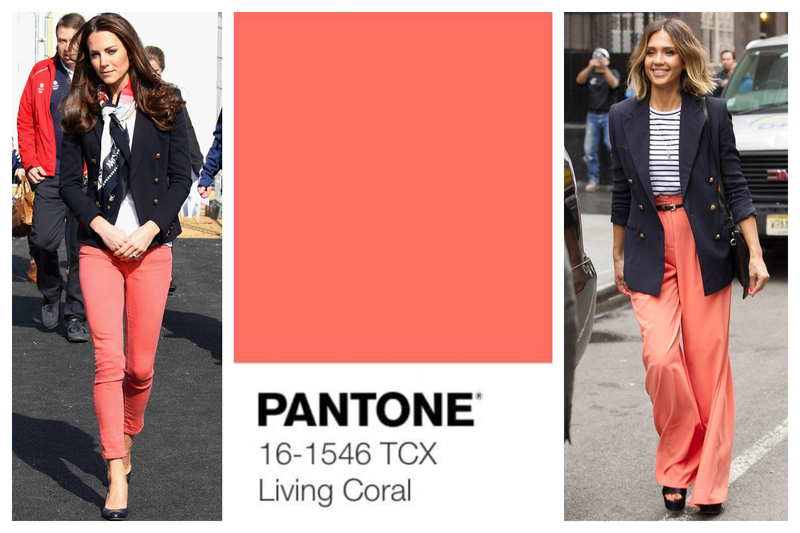 Of course, we deduce that the Living Coral is rather summery, in fact we have already met it in the Pantone Spring Summer 2019 Colors. 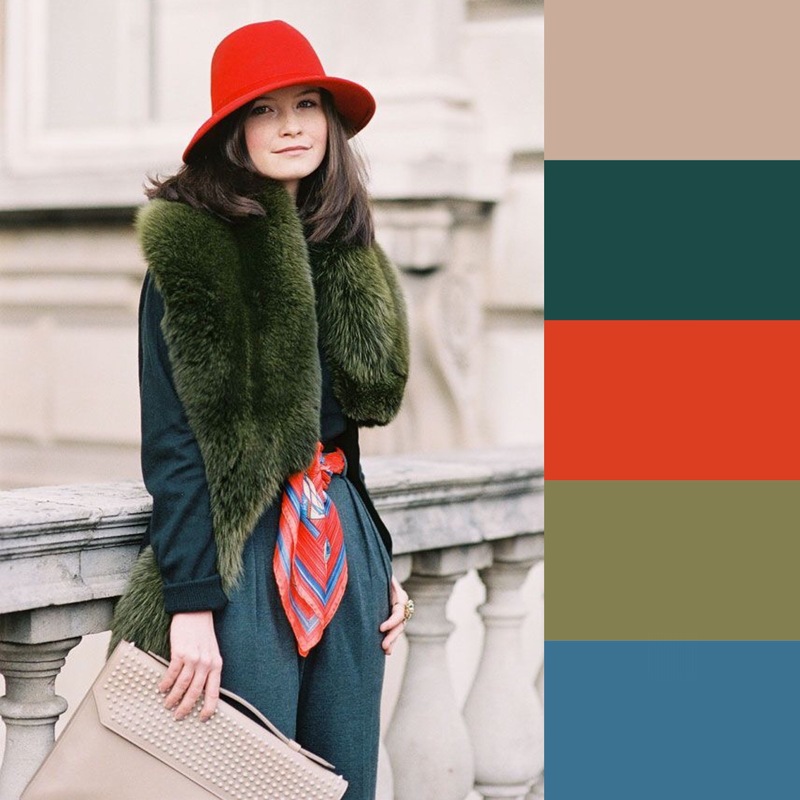 In the autumn season, however, we can combine it well with shades of green and teal blue. If you have a cool undertone, which can not stand the orange-reds like this Pantone 2019, do not despair! You can combine it with purple tones, from cyclamen to fuchsia: that of similar colors is a bolder approach, but of great effect. A safe combination instead, is the one with black: sincerely? I do not like that much, but I propose it to the most prudent or to the faithful to Total Black. With black, I would also add a touch of gold! At this point, to wear it in a more sober look, I much prefer to combine Living Coral with other wardrobe neutrals: blue, camel and even bordeaux. Never with gray. For other interesting combinations, I refer you to my other article: How to combine colors: the complete guide. Il corallo è un grande classico del beauty estivo: in inverno faccio proprio fatica e preferisco sostituirlo con dei rossi più profondi. Detto questo, non è molto semplice da portare: richiede un colore di pelle dorato e luminoso. Se non avete queste caratteristiche, vi consiglio il rosso fragola. 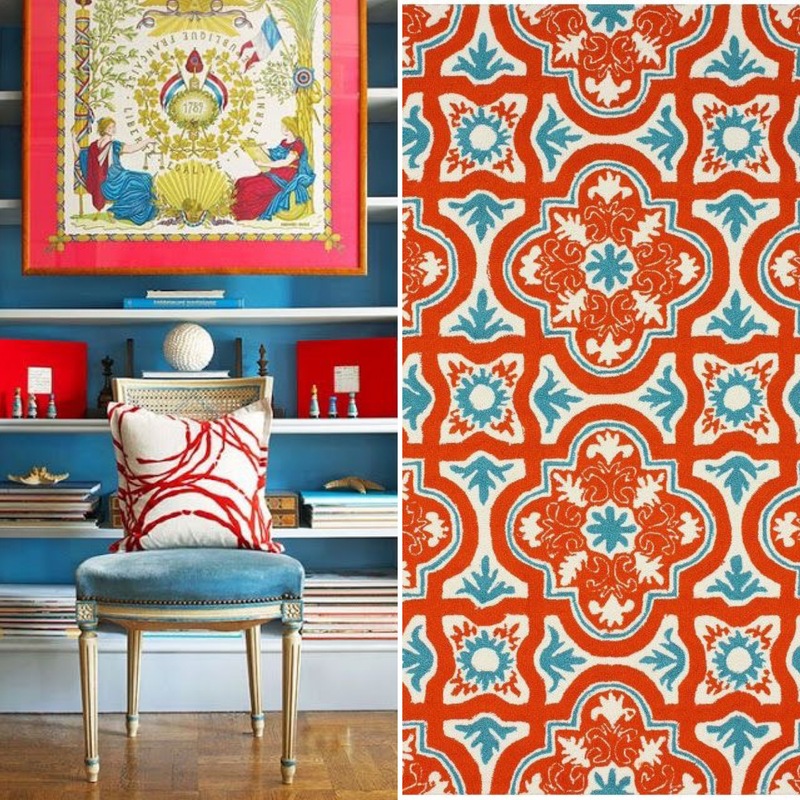 I find that the shades of coral give a touch of energy and personality to the interiors too. Obviously it is perfect for beach houses and, in general, combined with turquoise and blue. 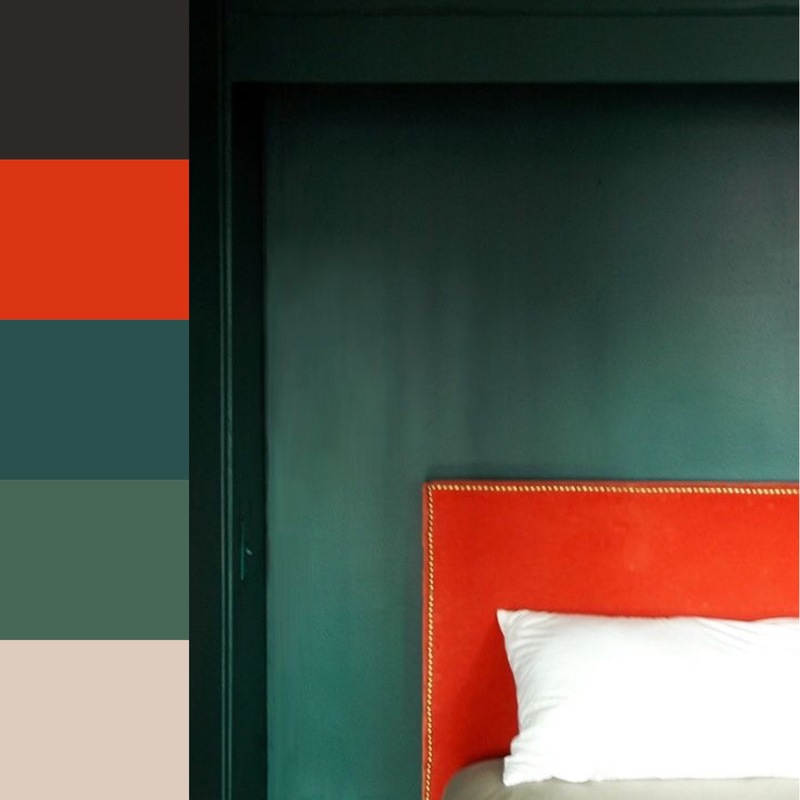 In order not to overdo it, you can combine this Pantone 2019 with shades of green or teal blue. I also point out my post: How to match colors at home. I am super happy with this Pantone 2019, because I love the whole range of red and I could easily live in summer with coral and with burgundy in winter! What do you think about it? I wait for your comments! If you are passionate about color, do not miss the next Style and Image Consultant course: Registration open! 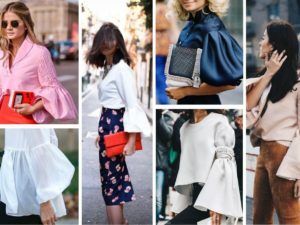 Voluminous sleeves: trend of the moment! Previous PostEverybody's on Christmas sweater!